In my report on last month’s Japanese election, I noted that the newly-appointed Japanese finance minister, Hirohisa Fujii, had spoken out against forex intervention. With that, it seemed the matter was closed. So where does Fujii actually stand? I would personally hazard to guess that his original explication is still the most accurate portrayal of how he will tend to the Yen while in office. The former Liberal Democratic Party (LDP) administration intervened several times while in office (once under the direction of Fujii himself!) and most recently in 1994. 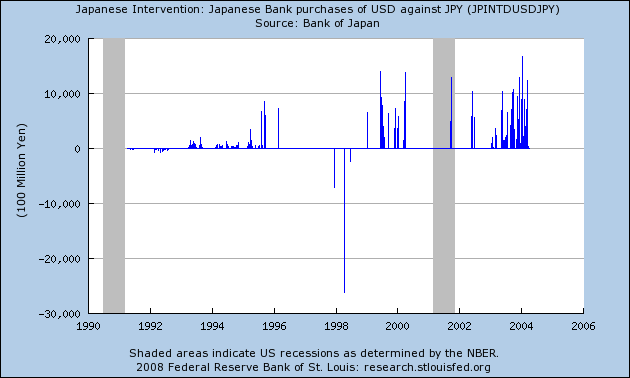 Despite spending trillions of Yen, the campaign only marginally stemmed the rise of the Yen. Meanwhile, the Japanese economy has been mired in what could be termed the “world’s longest recession, dating back to the 1980’s. It’s clear that the cheap-Yen policy, designed to promote exports, hasn’t benefited the Japanese economy. The new administration, hence, has indicated a shift in strategy, away from export dependence and towards domestic consumption. Ironically, the nascent Japanese economic turnaround is once again being driven by exports. Fujii is no doubt cognizant of this, and doesn’t want to jeopardize the recovery for the sake of ideology. For example, Toyota Corporation has indicated that a 1% appreciation in the Yen against the Dollar costs the company $400 million in operating income. In addition, while a strong Yen increases the purchasing power of Japanese consumers, an overly strong Yen can lead to deflation, as consumers forestall spending in anticipation of lower prices down the road. In other words, Fujii is certainly not a proponent of Japan’s recent runup, but his stance is more nuanced than initially understood. “Fujii is basically saying currencies should reflect economic fundamentals and that it is wrong to manipulate their moves to lower the yen for the sake of exporters,” offered one strategist. This, the markets finally seem to understand, and the Yen has actually reversed course over the last week. After all, “A yen in the 80s is excessive,” given the context of record low interest rates and a economy that is still contracting. In the near-term, then, it doesn’t even make sense to talk about intervention. It seems the markets were getting ahead of themselves in this regard. It doesn’t make sense to price out the possibility of intervention when interevention shouldn’t be a factor in the first place. 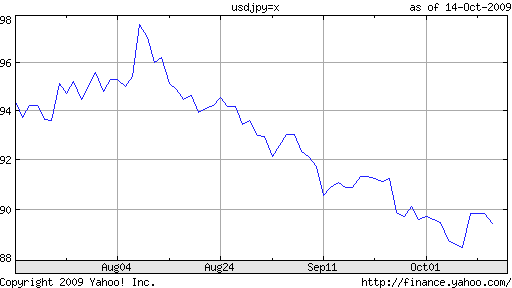 If on the other hand, the Yen continues to appreciate, then Fujii may have consider how fixed his principles really are.